Work, this week, began with finishing the initial implementation of CMenuSite. This class and the window it creates act as an intermediary between a BaseBar and a MenuBand, forwarding the events and messages either to the child band, or to the parent bar, as necessary. It handles the sizing of the child band, to adapt it to changes in the available space. It also provides certain services related to the positioning and sizing of the child bar, which it handles by forwarding some requests to the child, and the rest to the parent. A lot of people have expressed excitement or enthusiasm regarding ARM though when asked to explain their enthusiasm the result has often been incoherent babbling. In other words, the vast majority of people still have trouble communicating their thoughts in a clear and, more importantly, concise, manner. ARM is interesting though and from multiple perspectives. The biggest point is the amount of processing power it represents despite its small physical, power, and thermal footprint. A decade ago, the computation capabilities of systems in that same space were anemic to say the least. One of the main issues people trying out ReactOS have complained about is the clunkiness of the shell and how things they expect to work don't. As the shell serves as the main gateway to using the operating system, if it is hard to use then the OS itself becomes hard to use. 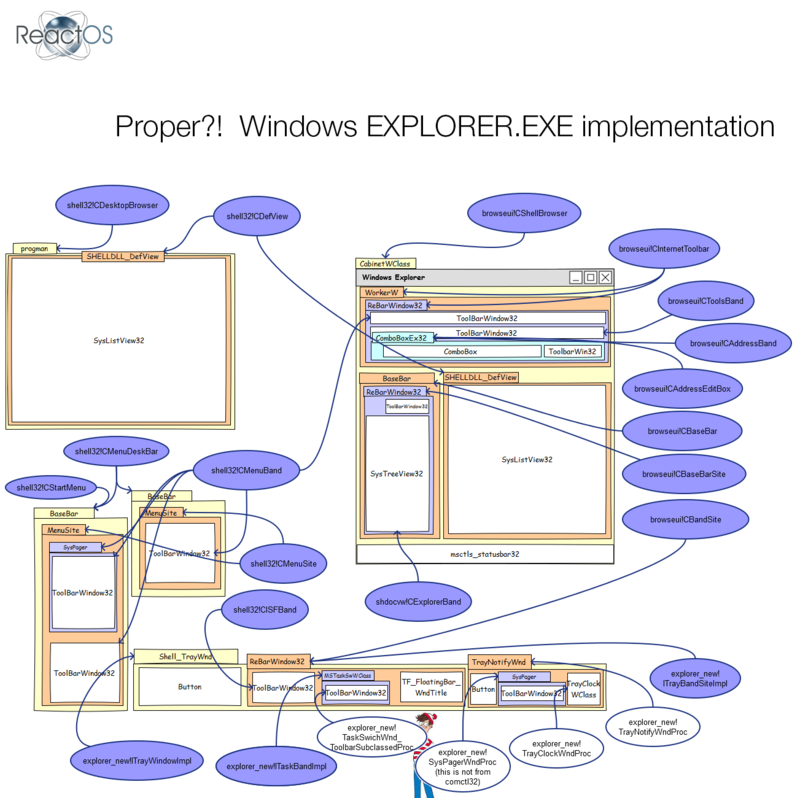 When talking about "interaction" we can think in two different ways of interaction: The interaction between the user and ReactOS Explorer and the interaction between applications and ReactOS Explorer(well, really the Shell).